If the pinks, oranges, yellows and blues of the opening shot of this video don't grab your attention, the list of featured locations just might. Cinematographer Ibnukf takes viewers on a breathtaking and dynamic tour of the volcano-doted, Indonesian island Java. 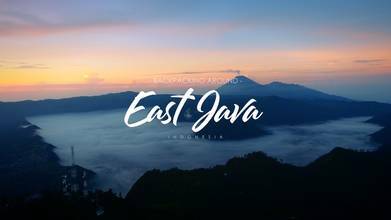 Locations in this video include: the active volcano Bromo Mountain; Ijen Crater; Tumpak Sewu Waterfalls; and the gushing Kabut Pelangi Waterfall. This video was a Drone Video of the Week Nominee in 2018.